Erika was born on November 12, 1993 in Bedford, Michigan, United States of America. Despite becoming a model at her young age, she has earned a degree in Business Administration from Middle Tennessee State University. Siblings – As per media reports, she has 12 siblings. Jake Paul (2017 – Present) – There were several reports about Erika having a discreet relationship with Vine star Jake Paul. They caught the media attention with their surprise wedding in Las Vegas on the 18th of June 2017. The couple posted their wedding video on YouTube, but their fans believed it to be a prank, as he is good at it. Soon after, they posted their two-week anniversary video ensuring their marriage is real. She loves goats and has a pet goat named, “Twinklebuddy”. She hasn’t appeared in any film or television show yet. Erika has been on with several renowned fashion brands like Calvin Klein. She is a well-known celebrity on social media and makes a considerable earning out of it by promoting brands and products. It’s obvious that her magical face and blue eyes make head turn and take notice. Plus, she is possession of a sizzling hot body that lures her fans on social media over her bikini photos. Erika Costell has an estimated net worth of $200,000 dollars. It was not long before, the 23-year old model has launched her own modeling company called Model Hostess. She makes more than $60,000 per year from modeling and a hell lot of money from brand endorsements, advertising, and YouTube. Erika lives with her husband in the Team 10 mansion in Los Angeles. She shares the property with the rest of the squad members. Erika had dreamt of becoming a model since her adolescent age and worked hard to make it a reality. At her young age, she used to pretend to be the models gracing the covers of the magazine. Taking inspiration from super hot model Gigi Hadid, she entered into the world of modeling at the age of 16, when her first manager Larry Murdock discovered her potential and took her to a photo shoot. From there, there is no looking back for the gorgeous model as she has amassed millions of fans on social media with her stunning smoking hot snaps. After being a cheerleader for almost 11 years, Erika Costell took the fashion world by storm with her elegance and glamour, who has now established a prominent place for herself in the modeling world. Costell has represented several renowned agencies like the DAN Talent Group and Wilhelmina International. Speaking about her business portfolio, she has successfully joined hand with other social media stars and brands to promote their brands and products. During her stint in modeling, she has accumulated an immense amount of net worth and she makes $60,000 upwards every year from modeling. 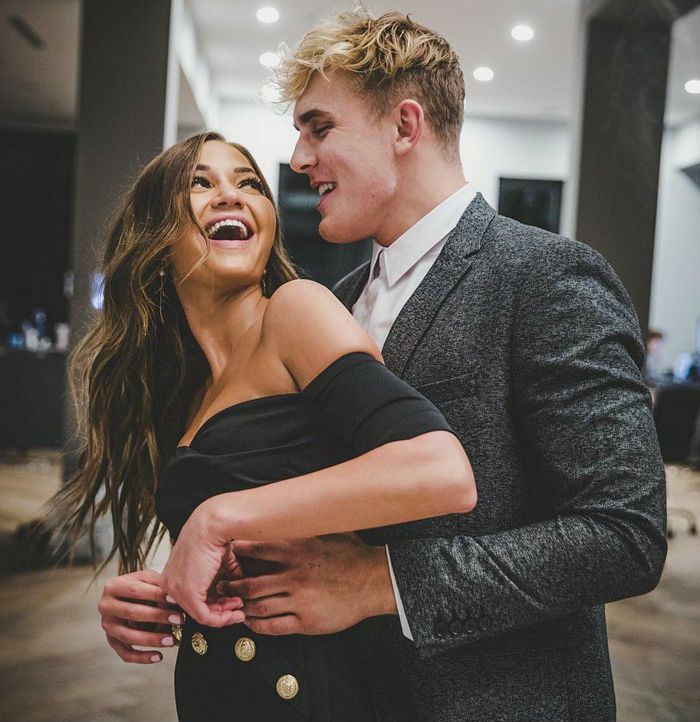 Erika is a prominent member of Team 10, a group of social media stars co-founded by her husband Jake Paul. She has gained exquisite popularity and fame at just 23 and still has a bright future ahead of her.